In the world of bloggers and vloggers there are many people that make their accounts very personal, from showing you their friends and family in vlogs, to writing down their true thoughts and feelings in a blog post. The end result of this is that I, as a reader, end up feeling quite attached. 'We would definitely be best friends' I always think. That being said, today I thought I would share a list of some of the people who I would love to meet in 'real life' and who's channels you should definitely check out. Amy is a blogger and YouTuber from Blackpool who talks beauty, lifestyle and fashion on both of her platforms. Amy started her online journey late 2014/early 2015 and although I can't remember the exact point I found her channels I know it was very near to the beginning! My favourite content of Amy's is definitely her vlogs and I always think she would make a really lovely friend - mainly because she is an absolute sweetie but also partly because I know she has been through a similar journey to me with anxiety etc and I know we could relate. Sometimes I think I must do her absolute head in commenting on her videos, blog posts and even tweeting her but every single time she shows nothing but kindness! Faye is a YouTuber and blogger who covers beauty, lifestyle and fashion via her channels. I'm not actually sure where a bouts Faye lives but I have a feeling it's somewhere very near to London! According to YouTube I started watching Faye's videos back at the start of January 2013 which feels like forever ago and ever since I've loved her content more and more. I definitely love her Vlogs the most from all the videos on her channel as it's lovely to see what her and Dan get up to. It's really lovely to see she really is just a normal girl living a normal life regardless of the amount of subscribers she has - definitely an inspiration! Jodie is a beauty, lifestyle and fashion YouTuber and blogger from Doncaster. This alone has me buzzing because I literally live a 20 minute train ride from Doncaster! I found 'Just Jodes' channel about 6-8 months ago and in this small amount of time I have seen it develop into something amazing. My favourite thing about Jodie has to be how much I can relate to the things she says on her snapchat and Twitter. There has also been numerous times where she has had a conversation on Twitter which is so nice and shows she really is so down to earth! Kat is a lifestyle blogger from Manchester who (I think) I first 'met' in a blogger Twitter chat! My favourite blog posts from Chapters of Kat are definitely her list style posts! I always find her content so relatable whether it be from her blog or her Twitter account and I couldn't be happier I found them! Kat always leaves the nicest comments, support and feedback via my blog and Twitter and I try my best to show that back! Manchester isn't actually too far from where I live so hopefully one day me and Kat will be able to meet! 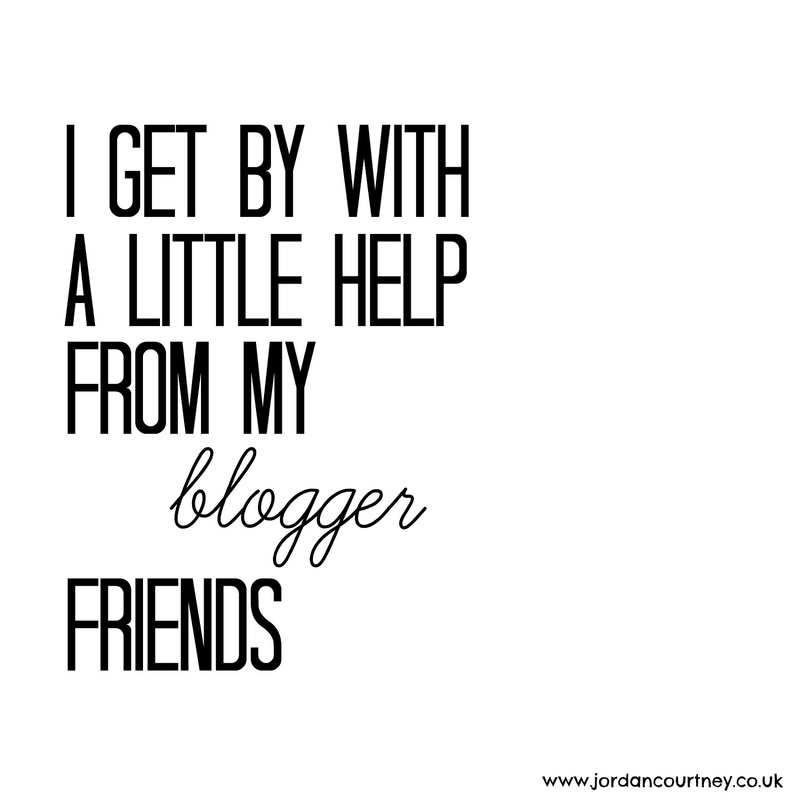 So there we have 4 Bloggers/Vloggers/YouTubers I would love to meet! I stuck to 4 for now as I thought if people enjoyed this type of post or a kind of 'My favourite Bloggers/Youtubers' then I could do them more regularly! Let me know - if you could meet any blogger or vlogger, who would it be and why? This is such a lovely post. I blooming love Kathryn, she's so down to earth and lovely!